Although you may have dreams of crossing the country in a stylish vintage convertible, your budget may have other ideas. But that doesn’t mean you can’t — at least temporarily — drive around in the vintage car of your dreams. A new app called DriveShare is billing itself as an Airbnb-esque way to rent out vintage and luxury cars. Users can choose from a selection of about 600 unique cars around the country and rent them out directly from their owners. However, users can also find Lamborghinis, Ferraris, Porsches, Jaguars and many more iconic brands of car. The cars range from about $100 to $2,500 per day, depending on make and model. Customers sign up for an account on DriveShare, wait for verification from the app’s insurance companies and then can sign up to drive. Once customers and owners reach an agreement, they meet for an exchange, tour of the car and key exchange. 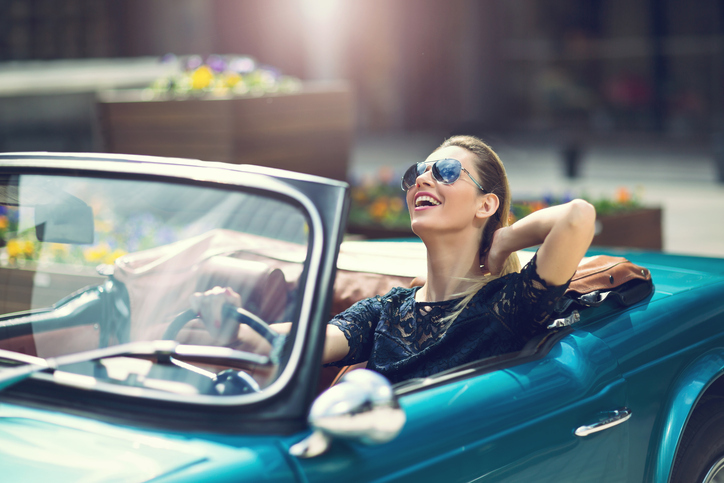 Owners may also choose to rent out their cars solely for “static use,” if you just want to stage a photoshoot around a cool, vintage vehicle. Those who like the idea of peer-to-peer car-sharing can also peruse apps like Turo or Getaround to find other cars owned by locals while traveling.